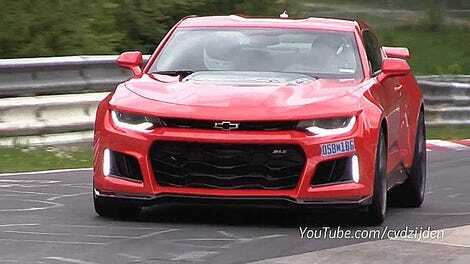 The 2017 Chevrolet Camaro ZL1, a 650-horsepower Camaro, will max out at 198 miles per hour. Yes, a stock Camaro will do nearly 200 miles an hour. Two. Hundred. Miles. An. Hour. Camaro. 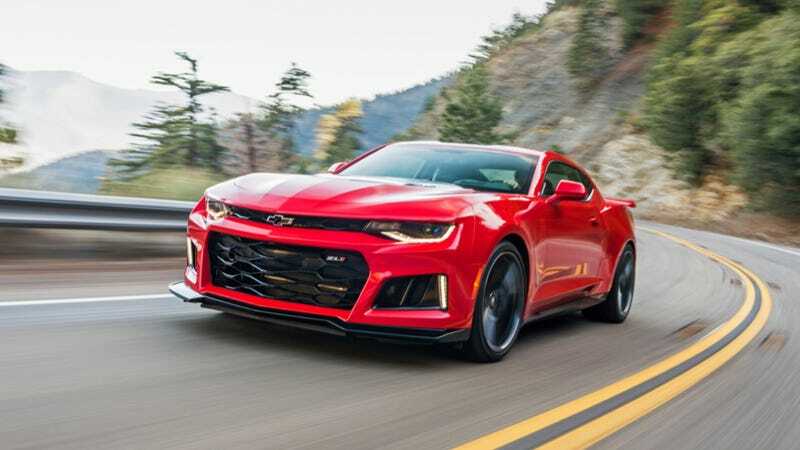 Chevy got the 198 mph figure by running a new ZL1 coupe, complete with 10-speed automatic transmission, at the High Speed Oval at the Automotive Testing Papenburg GmBH test facility in Germany, the company said in a press release. The Papenburg test track consists of two 2.5-mile straights joined by 49.7-degree banked turns, meaning that it would actually be easier to stand on the side of the car than the roof, if for whatever reason you wanted to stand on the outside of a car at 200 MPH. Whatever, you do you. But that sort of banking allowed GM’s test drivers to run the ‘Maro flat-out the entire way around. Going down one of the straightaways the car maxed out at 193.3 mph, but going the other way it actually topped 200, ringing the bell at 202.3 mph. Average those two together to get rid of any wind advantage/disadvantage, and you get 198. And that’s when the car was completely stock, save for a bit of mandatory safety equipment and datalogging stuff. Even the tires were completely legit, with the Goodyear Eagle F1 Supercar 3s set at 44 psi, which is Chevrolet’s recommended setting for extended high speed driving. But here’s the crazier bit. With just the lightest of modifications – the camber set at zero degrees and the tires pumped all the way up to maximum pressure – Chevrolet actually says the ZL1 regularly topped 200. On average. Even after accounting for wind. Oh, and it’ll also do zero to 60 mph in 3.5 seconds. And it’ll beat a Koenigsegg CCX around the Nurburgring. That’s nuts. It’s a Camaro! A ZL1, sure, but still, a Camaro! With an automatic! We live in a crazy world, and very occasionally I love it.